Ben Jones said his experience of coping with a savaged flock has left him and wife Julia considering giving up farming as a career. 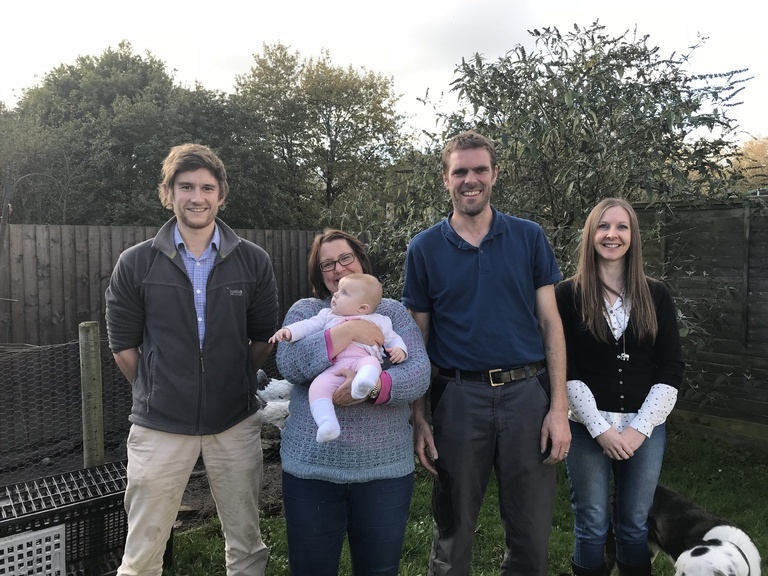 First generation sheep farmer Ben Jones used a Farmers Union of Wales (FUW) event to highlight his continuous struggle with sheep worrying after being frequently targeted by the same dog. He moved his family, including wife Julia and five-month old daughter, from the Vale of Glamorgan to 26 hectares (65 acres) of rented annual tenancy in Hensol in May 2015 in an attempt to avoid public rights of way after a first dog attack caused his sheep to abort their lambs. “The field had a footpath going through it and many people use it to walk their dogs. Finding my sheep like that was just devastating,” Mr Jones said. “I do not understand why those walking in the countryside just cannot keep their dogs on a lead. 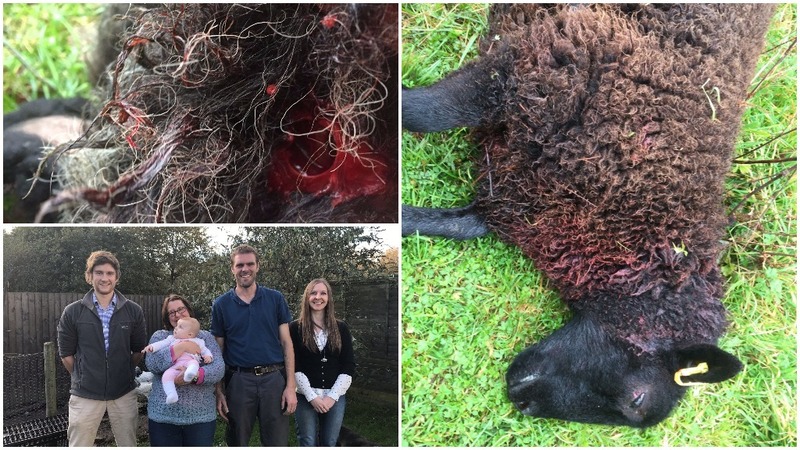 Since July this year, Mr Jones has encountered three more separate attacks on his sheep, including one earlier in the month (October 18) which saw three ewes killed and another four sustaining severe injuries. In total he has had 20 sheep killed and 15 injured – about one fifth of his flock – with more than £1,800 financial loss, including seven ewes with injuries so bad they can no longer be used for breeding. “The injured ewes can no longer be used for breeding,” Mr Jones added. “For some reason the attacks always happen on Wednesday. It is really quite unbelievable. “This time round I saw the dog while it was attacking a ewe. I tried to catch it but it ran away. “I managed to get a photo of it but have no idea whom it belongs to or where it has come from. Mr Jones said the dog in question was a black Labrador cross with a red collar, always unaccompanied. Speaking after the event, FUW senior policy officer Dr Hazel Wright added: “What we need to protect farm businesses from the severe financial and emotional stress, is improved public awareness coupled with central recording of incidences, tighter regulation and better enforcement.